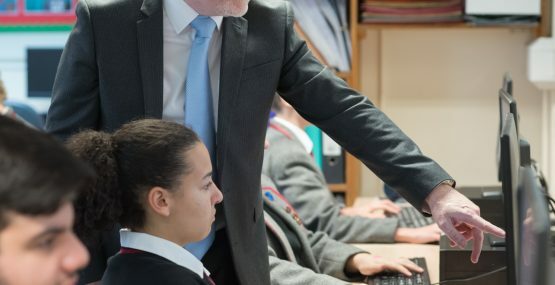 As well as inviting Senior School pupils to think very carefully about their use of social media and encouraging a “social media swap” during Safer Internet week Mr Sneary, Head of ICT and Computing at Highclare Senior School has provided these ten useful tips below to stay safe when online. 1) Never post your personal information online, not your address, email address or mobile number. 2) Think very carefully before posting pictures or videos of yourself online. Once you put a picture of yourself online it is not yours anymore. Think about who you would want to see it. Do not post pictures of other people unless you have their permission to do so. 3) Set your privacy settings as high as possible on all of the apps you use. 4) Use a very secure password for all of your accounts and never share your password with anyone or allow someone else to sign in to your computer or phone. 5) Do not make friends online with people you don’t know. Remember that not everyone online is who they say they are. 6) Never meet up with people that you have met online. If anyone you do not know tries to meet up with you then immediately tell your parents or another adult. 7) Think very carefully about what you are going to say before you post something online. If you can’t be nice about someone then don’t say anything. 8) Respect other people’s views. Even if you don’t agree with their views it doesn’t mean you need to be rude or disrespectful. 9) If you see something online that makes you feel uncomfortable, unsafe or worried tell a trusted adult immediately. 10) Take regular breaks from using your phone or computer. Switch it off over an hour before you go to bed.